Planning, Listed Building, and Change of Use consents achieved for young chain Planet of The Grapes. 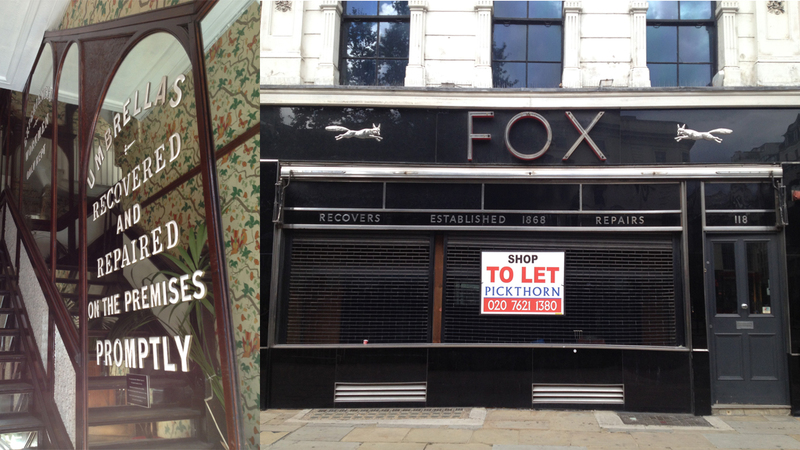 Fox Fine Wines Opening in 2015! 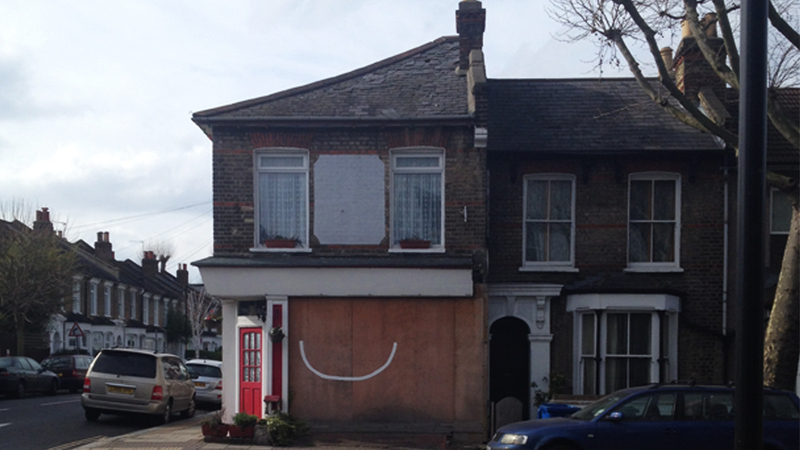 SMILE, YOU’VE WON BEST DOMESTIC RETROFIT 2014!! Chris, Nette, Ralph and Ned with the winners trophy for their award winning home. 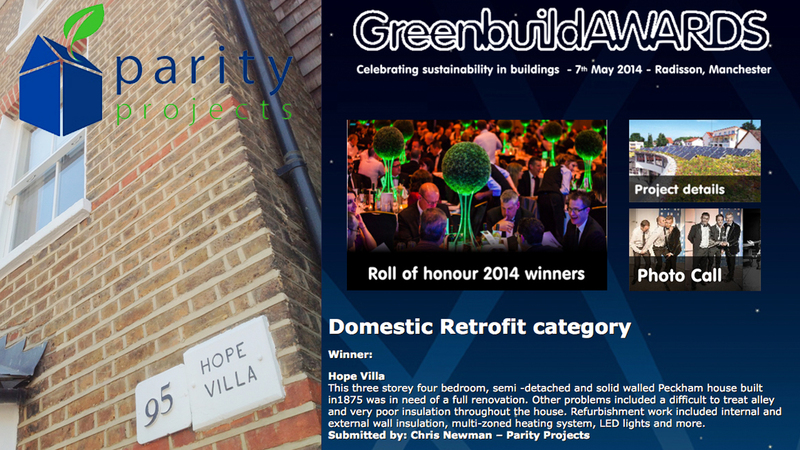 Winner, Domestic Retrofit category at the GreenBuild Awards 2014. Our award winning Peckham project opened its doors for Open House 2014. Chris the owner booked in 10 people per every hour (without a lunch beak for us I might add!) between 10am and 5pm for a short presentation followed by a tour of the house. It was great to meet so many people interested in retrofitting their homes, as well as Chris’ neighbours who just wanted to have a sneaky nose around the place! 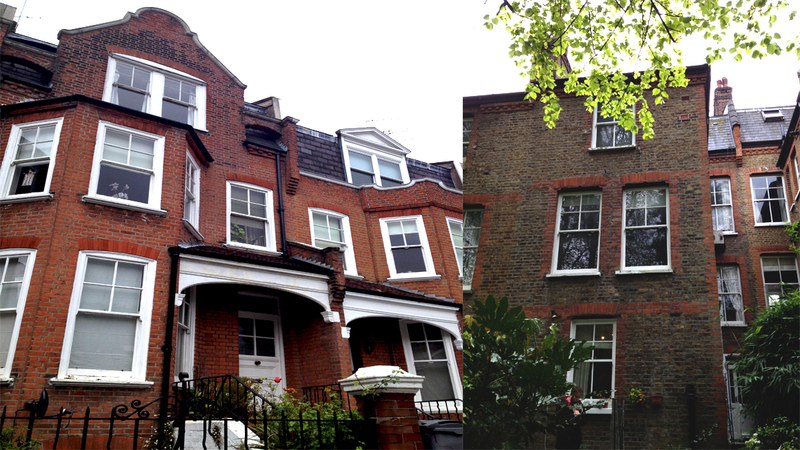 Retrofitting traditional and historic is one of the key challenges for the UK built environment. A holistic approach is required to make these buildings environmentally, socially and economically sustainable. 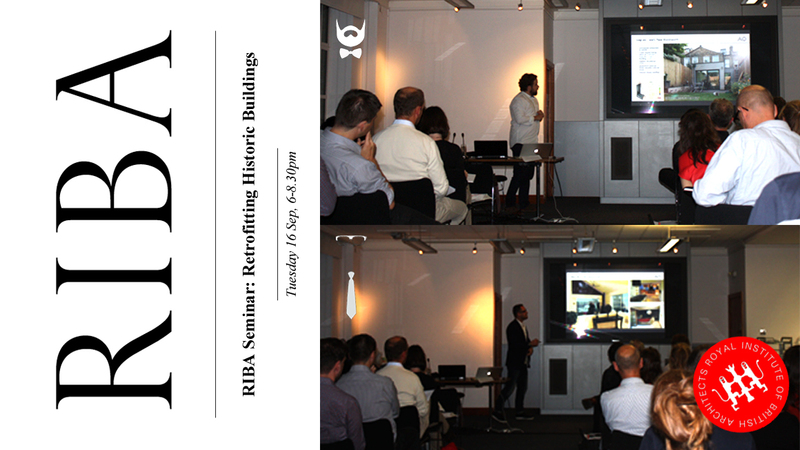 This seminar explores the issues and solutions surrounding historic building retrofits, adopting a practical approach illustrated by case studies and the latest research. In addition to quantifiable considerations such as technical options, planning legislation, capital costs and efficiency standards, less tangible issues will also be considered. Occupant behaviour, performance predictions, conservation principles, aesthetics and occupied building retrofit must all be understood. Architects need to know when to engage planning and conservation bodies, how to marry modern materials with old buildings, and what could go wrong. Ireland’s Passive House Plus Magazine has featured our Enerphit Certified retrofit in Wandsworth this month. The scheme was designed alongside Green Tomato Energy who acted as energy consultants and modelled the house in Passive House Planning Package (PHPP). 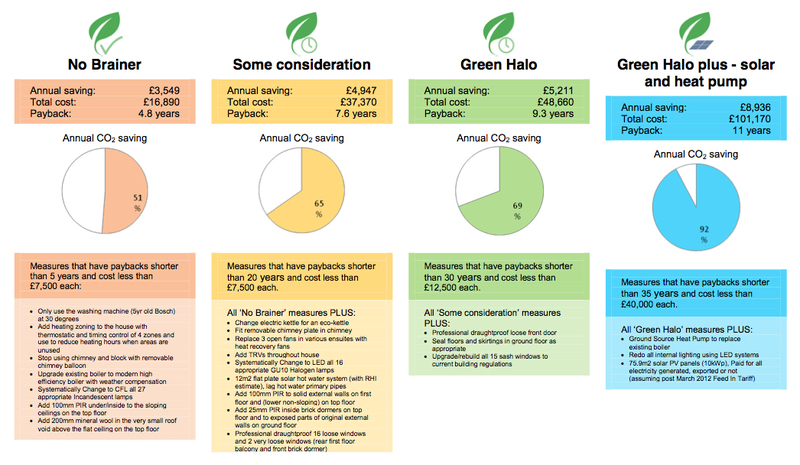 In terms of predictions, Green Tomato’s modelling estimated the existing house around 225 kWh/m2.year for the space heating demand, and our target was less than 25 kWh/m2.year which is the EnerPHit standard – that’s an 89% reduction in space heating consumption reduction. The building is being monitored so these estimations can be checked as the building matures, so let’s see! 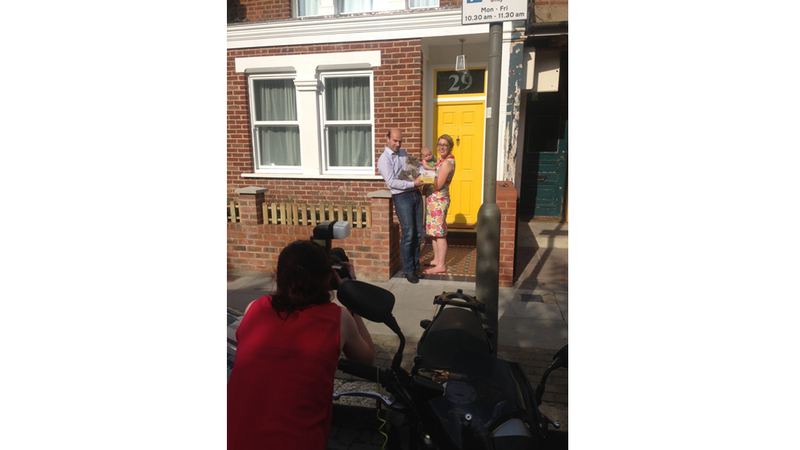 Our award winning retrofit in Peckham has been featured on the BBC series ‘Britain’s Empty Homes’. The show reveals the great potential that vacant properties can offer in terms of budget and lifestyle, and our project was used as a show case for environmental retrofit developments. The project is featured from around 8 minutes in….check it out! Marte from MLR Photo shot Chris, Nette, Ralph and Ned’s award winning home for us recently, situated in the ever-popular ‘Bellenden Village’, Peckham. 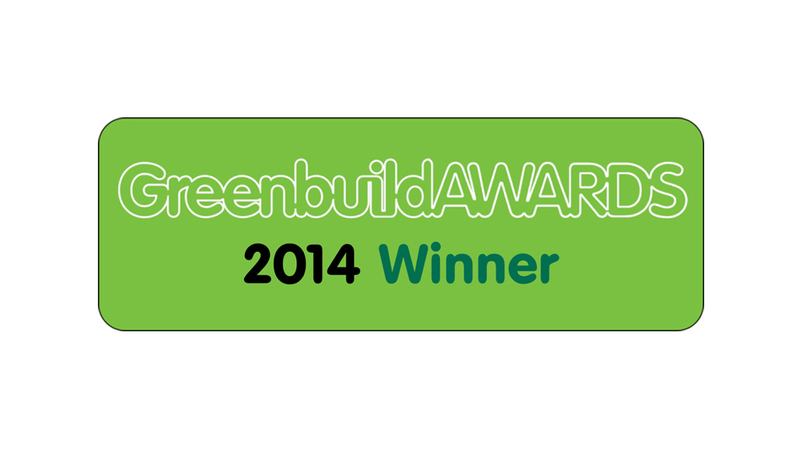 We were proud to announce back in May that this project won the Domestic Retrofit category at the GreenBuild Awards 2014. 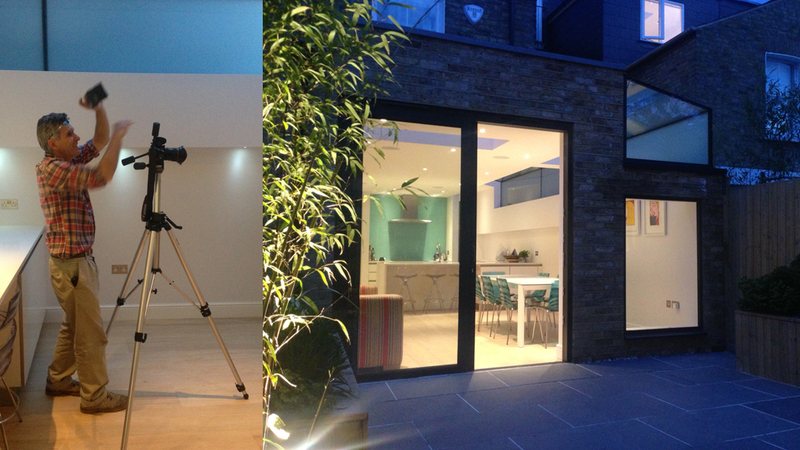 It’s been a very successful year having had the house shortlisted for the AJRetrofit Awards 2013, theRetroExpo Awards 2013, and the CIBSE Awards 2014. Chris can be spotted gleefully holding the award if you look closely enough! Final shots on their way very soon! 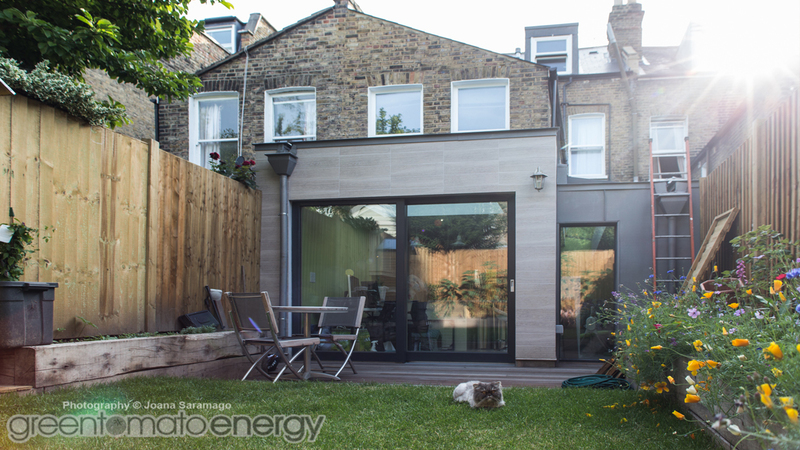 FIRST ENERPHIT HOUSE IN LONDON! 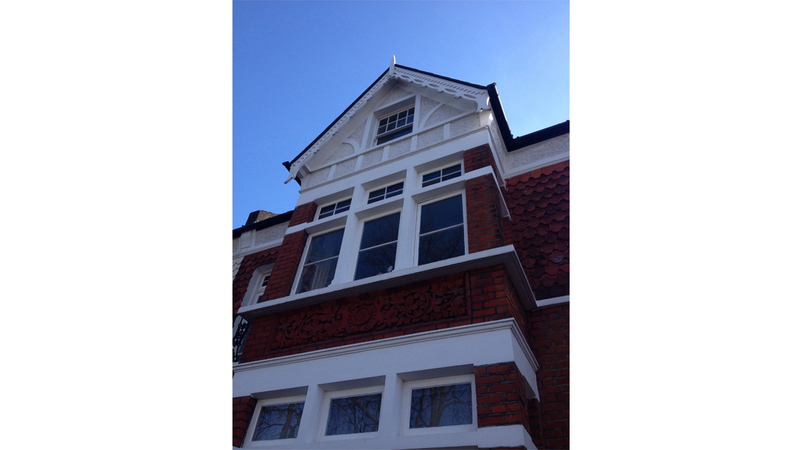 Our project at Barmouth Road, Wandsworth for the Caccavale’s has officially been accredited with achieving the EnerPHit standard of energy efficiency AND it’s the first of its type in London!! Here are the guys being shot for Passive House Plus Magazine holding their EnerPHit plaque. 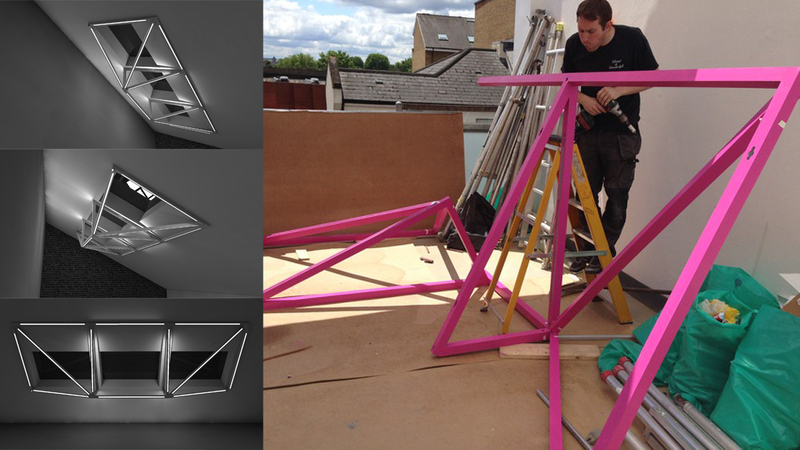 The light feature we have designed for a double-height space is nearing completion. With it’s first coat of Flamingo Fun now on and the LED diffuser strips being installed, this ‘industrial chandelier’ will very soon be making a very bold statement, in a very spacious living room. The shoe wardrobe we designed for Cleo B is nearing completion. It’s great to see a final product materialise from a prototype many months ago! 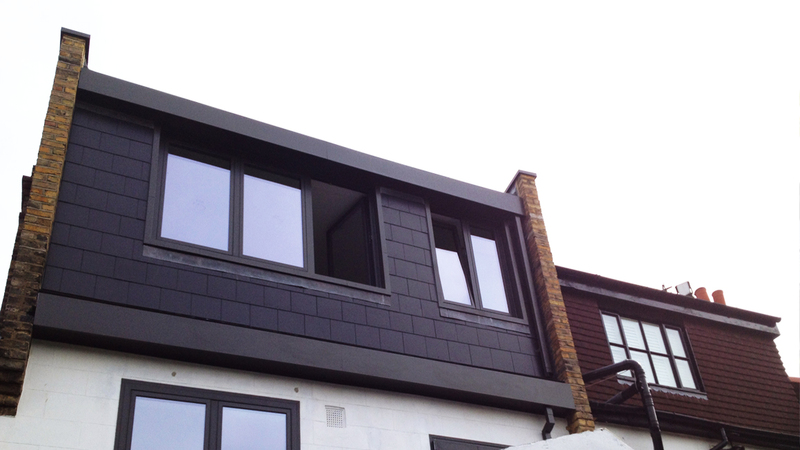 The project we designed for Parity Projects in Peckham won the Domestic Retrofit category at the GreenBuild Awards 2014. 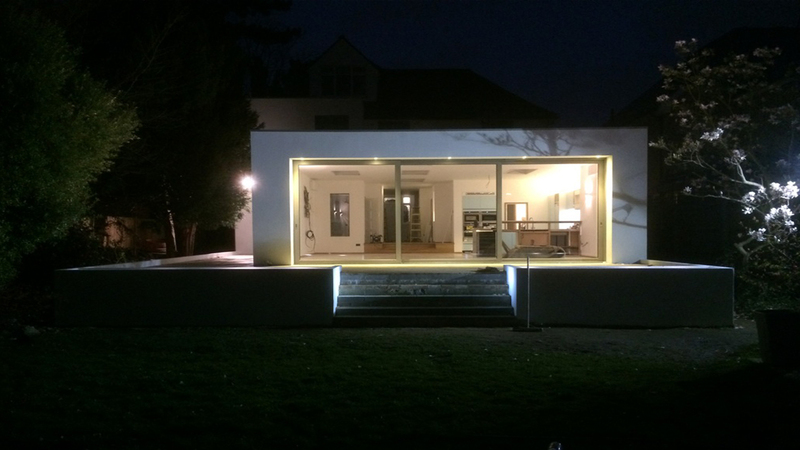 It came at the end of a very successful year having had the house shortlisted for the AJRetrofit Awards 2013, the RetroExpo Awards 2013, and the CIBSE Awards 2014. Make My Home Green, whose mission is to make UK homes warm, comfortable and energy efficient, has assessed our warehouse retrofit in West London. Their energy Assessors are fully qualified, insured and accredited by National Energy Services (NES/NHER), and BRE, two of the UK’s leading professional accreditation bodies. Upgrading the efficiency of an existing dwelling can be a complex process, and the results are influenced by a homeowner’s aspiration and budget, as well as the building’s suitability to various improvements. 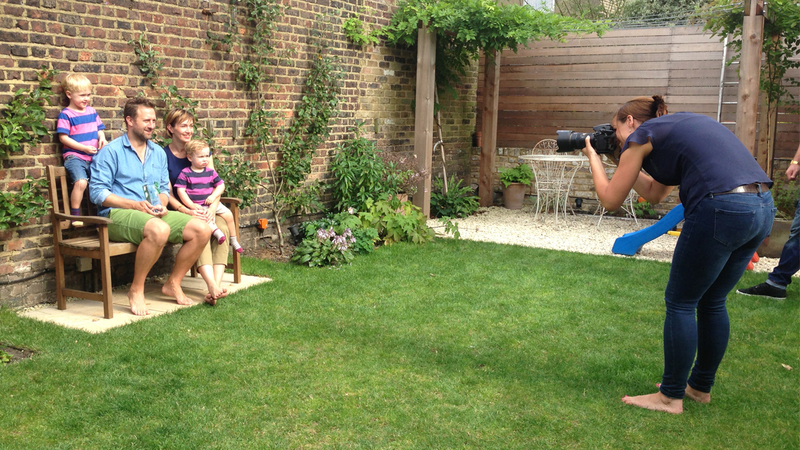 Stage 1 Analyse has begun on Annie and Oli’s beautiful detached family home in Streatham. The house is need of modernisation and so the Doherty’s are keen to add their personality to the place at the same time. So, on the ground floor they are looking to build a rear extension to accommodate a new kitchen, dining and living/seating area, with options for a new play room/snug connected to the main kitchen. To the side they hope to convert the existing garage into a play room/multifunctional room with access to the rear garden, whilst retaining an area for storage with access from the front. At first floor they’d like a side extension to accommodate a new walk in wardrobe with ensuite facilities for the master bedroom accessed via a hidden door. By the time we’ve finished with it, this house is set to be an incredible family home for the Anne, Oli, and their children. 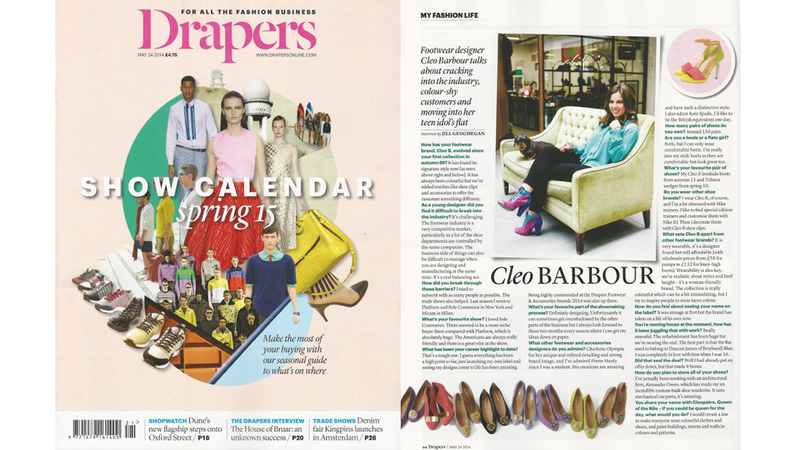 In an interview with Drapers Magazine – the fashion industry’s business bible – our client and footwear designer Cleo Barbour talks about ‘cracking into the industry, colour-shy customers and moving into her teen idol’s flat’. 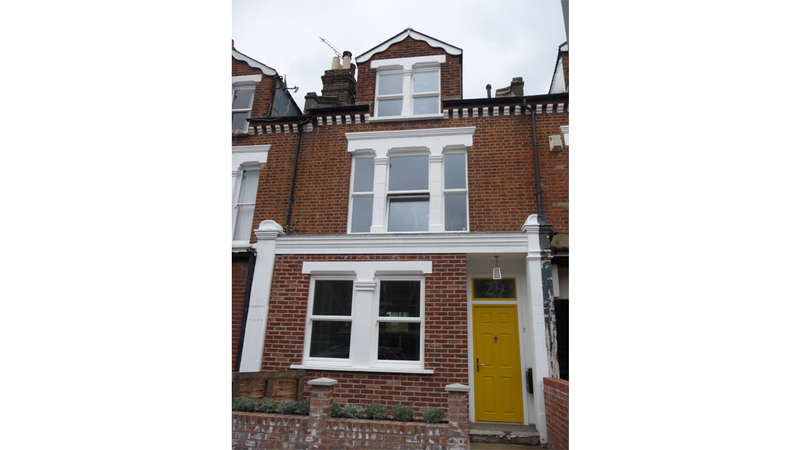 The Passivhaus Trust – the leading international low energy, design standard – have just written about our 120 year old terraced house which has been successfully retrofitted to the EnerPHit standard. Nicola and Paddy’s place in Hounslow – passed at Appeal by the National Planning Inspectorate – has just been snapped by Orde Eliason from Link Photographers. Pop back soon to see his (far more) professional shots soon! Alexander Owen gets a mention, as does the shoe wardrobe we designed for her as part of her complete warehouse retrofit project! 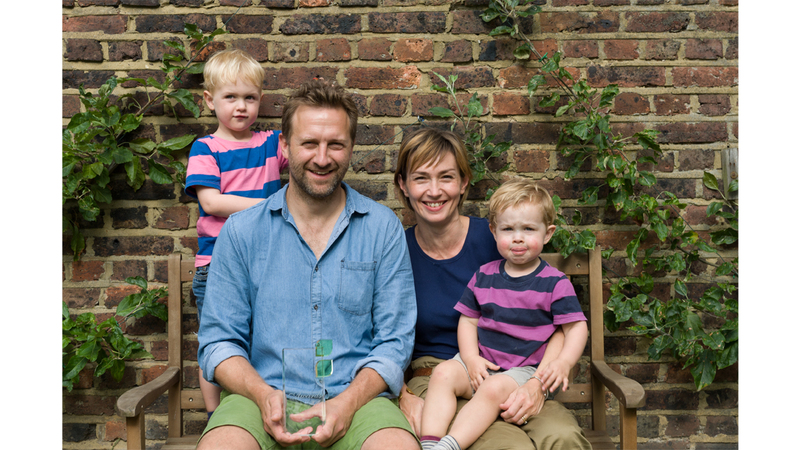 WINNER – BEST DOMESTIC RETROFIT 2014! We are proud to announce that the project we designed for Parity Projects in Peckham has won the Domestic Retrofit category at the GreenBuild Awards 2014. This comes at the end of a very successful year having had the house shortlisted for the AJRetrofit Awards 2013, theRetroExpo Awards 2013, and the CIBSE Awards 2014. One of the great things about the GreenBuild Awards is that the judges really concentrate on actual performance, and the house’s outstanding results, as well as Parity’s transparency in terms of prices and ongoing bills must have impressed them! Architects will soon be able to "specify a material's luminosity," claims lead designer at Philips from Dezeen on Vimeo. Chief design officer for Philips Lighting Rogier van der Heide explains how advances in LED technology are enabling lighting to be integrated into the surfaces of walls, floors and ceilings. 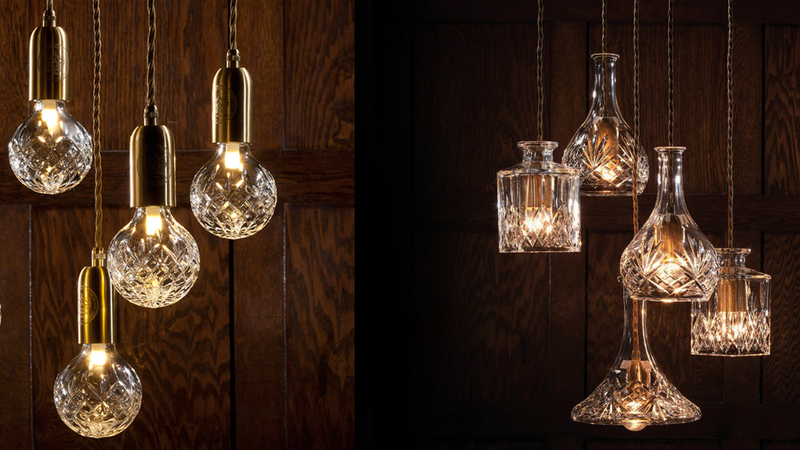 These beautiful creations by Lee Broom are about to feature in a scheme nearing completion. Incredible objects in their own right, they throw wonderful light forms onto their surroundings adding depth and visual texture to any space. Design is complex. Working with us is simple. We understand that design is complex – both a pragmatic process as well as a conceptual exercise – but we aim to make our design process as easy and stress-free for our clients as possible. Recognised industry work stages organise the process of briefing, designing, constructing, maintaining, operating and using buildings into a number of key stages. The content of these stages may vary or overlap to suit specific project requirements, however our process is underpinned by 4 principle actions – ANALYSE / DESIGN / DETAIL / BUILD. Why not take a look at our SERVICES page to find out more about how we work. Stage 1 Analyse for Tom and Chloe’s place in Highgate has just kicked off! 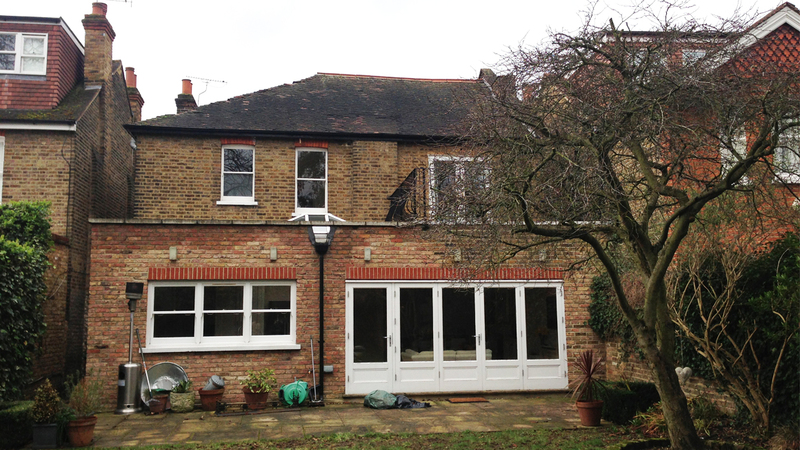 Rear and possible side-infill extension to accommodate an open plan kitchen/diner/living space. The design is to be contemporary in look and feel. Glass should be used to make the space bright and airy and make the most of the rear garden. Options should be provided for a full width rear extension as well as an option for development the width of the rear outrigger only, highlighting ball park cost/value variants of each. 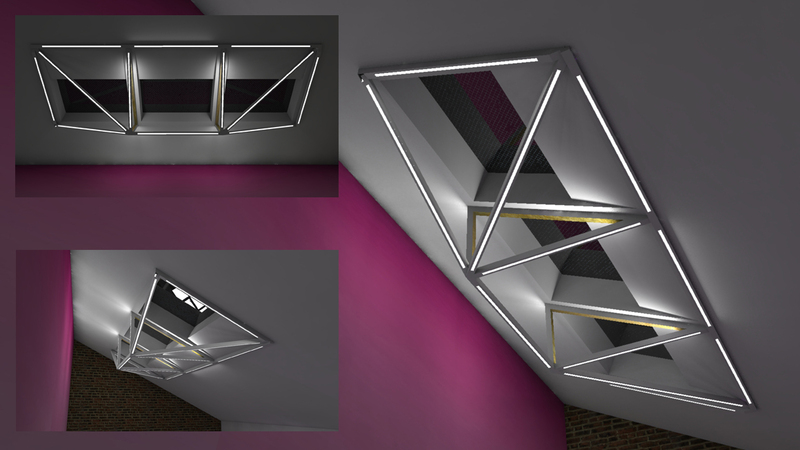 We have just commissioned an award winning London-based blacksmith to construct this bespoke light feature we have designed. It is to become the centre piece of a loft apartment living space in Westbourne Park, and being dimmable act as both task and feature lighting. 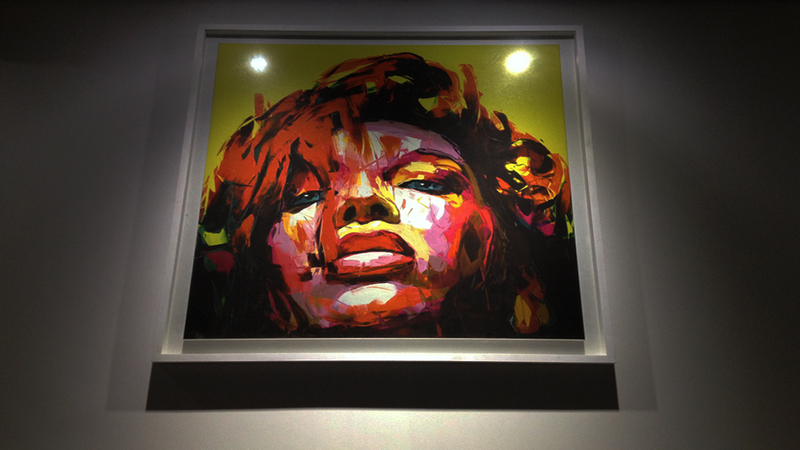 Furnishing your home with beautiful works of art is a great way to add personality and colour to your home. By keeping the interior architecture more restrained in terms of colour and texture, art can really transform the feel of a space. This incredible piece by french contemporary portrait artist Francoise Nielly is taking centre place in The Rent’s dining area. Centred on the dining table and lit by 2 specifically placed directional LED spotlights means it takes pride of place. Pop back to see more ramblings and final photos of this development in a Southwark conservation area! Future-proof your home against rising energy costs. With natural resources on the way down and energy bills on the way up, refurbishing or extending your house provides the perfect opportunity to future-proof your home. 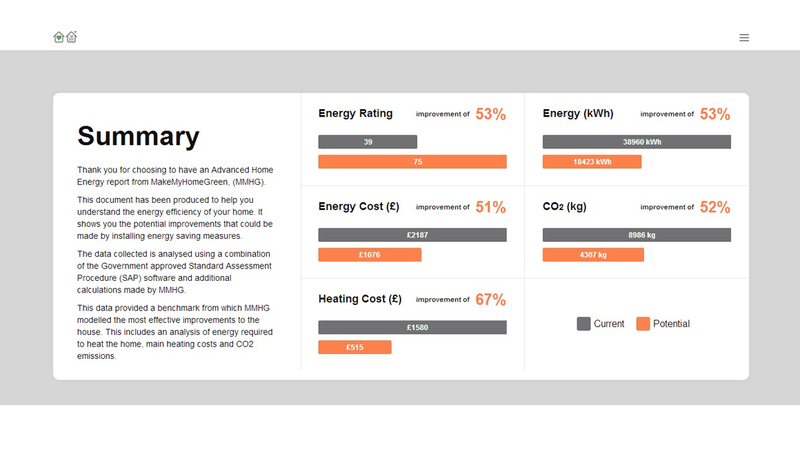 Before embarking on such a project however, it’s vital to work out which measures are right for you and which are right for your home, and so we work with energy consultants to produce our livingENERGY report which has been designed to do just that. Why not get in touch to find out more! Every client is unique. Every design is bespoke. 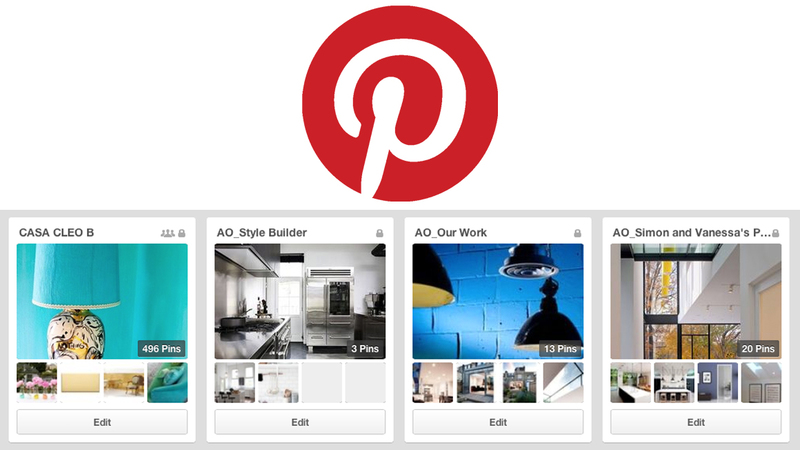 At the start of every project we set up a private Pinterest board for each of our clients on which they can build up a collection of images of the stuff they love. From materials and lighting to products and furniture, we encourage each of our clients to share a Style Builder with us, so we can learn about their taste and tailor our design. 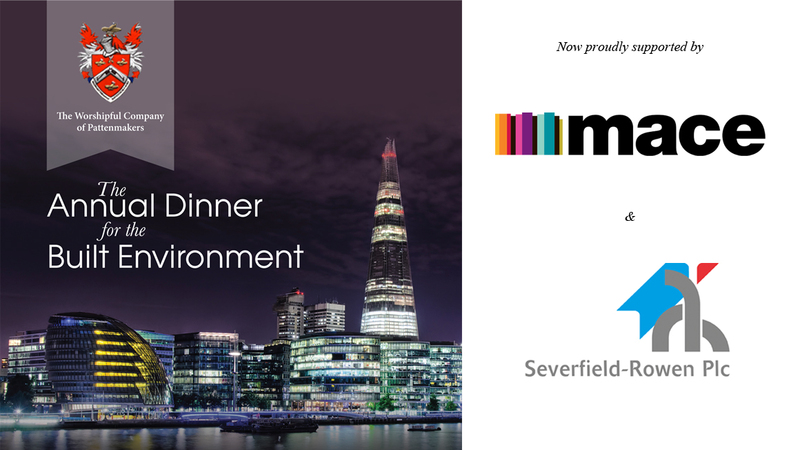 Built Environment Dinner 2014 Speakers Announced! Gareth Lewis, Chief Operating Officer of Mace, discusses the delivery of the Shard by Mace’s team, whilst Ian Dawson, Chief Design Engineer at Severfield explains how the steelwork for this complex structure was fabricated. Guest of honour and after dinner speaker Professor Peter Rees, who spent 30 years as City Planning Officer for the Corporation of the City of London, addresses the changing skyline of the City and the impact and opportunities that new and iconic structures present. 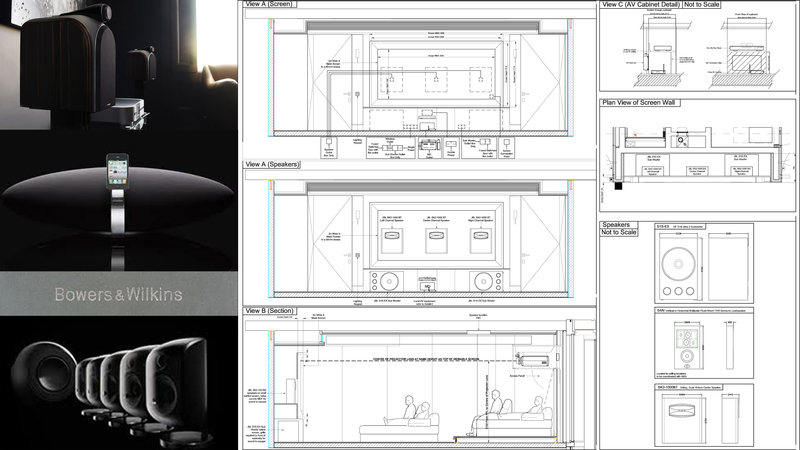 We often work with home entertainment specialists to integrate audiovisual equipment into our designs. Designing these systems early on in the process means we can control what is visible and what is not, and make sure the equipment can perform to the best of it’s ability. This might include positioning the TV to avoid direct sunlight, making sure ceiling speakers run in line with lighting arrangements, making sure seating plans work with speaker layouts, or simply hiding AV computers and Sky TV boxes under the stairs away from sight. As technology is becoming an ever more integral part of our daily lives, home entertainment and automation systems are also becoming more accessible to homeowners . We think that’s a pretty cool thing that everyone now can enjoy the pleasures of music and film to this quality in the comfort of their own home. We are entering a time where we are seeing more and more old extensions begin to deteriorate and become in need of restoration. Progression in internal and external building systems, products, and materials means that we are now able to update old extensions to meet current building regulations, and then at the same time adapt the way the extension looks and functions. 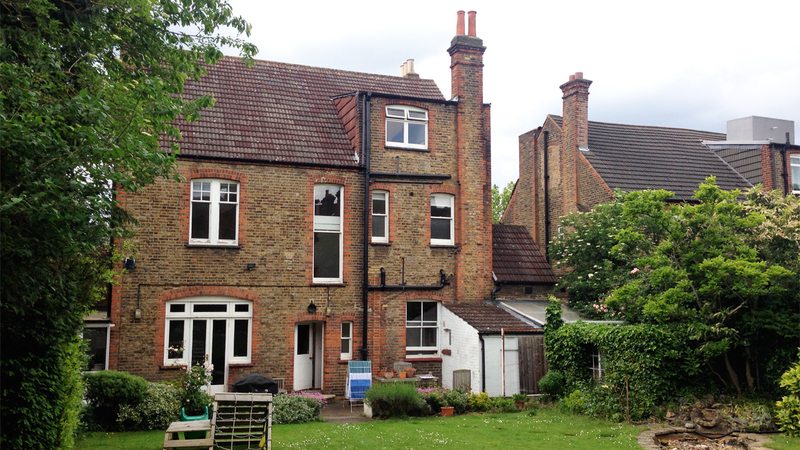 This project for Kandyce and Graham in an Ealing Conservation area aims to do just that. The extension will be dismantled and re-modelled to have new window and door openings, and new bespoke rooflights to allow more natural light into the heart of the house, whilst a restructured internal layout will meet the client’s specific daily needs. Such revisions also afford the opportunity to future proof the home by upgrading the extensions building fabric to surpass current building regulations and energy efficiency standards. This project highlights the fact that every house is different, and every homeowner is unique, and quite often new homeowners don’t match old homes. We are using the Sonos AV system in a few of our schemes at the moment. Check out this advert and see how the system works.…enjoy! Nicola and Paddy’s Place is nearly done! Nicola and Paddy’s place is nearing completion in Hounslow! A 7m long silicone-bonded structural-glass box forms the roof along the flank elevation, with frosted glazing up-stands for privacy. The internal space has been designed with integrated speakers, lighting, and seating that will complement the new kitchen and living area, and make this a very funky family home. The garden has also been remodeled with clever storage ideas and feature lighting – we just hope we get invited to the BBQ! The project was granted planning permission at Appeal by the National Planning Inspectorate which really showcases how the use of materials can sway opinions at national planning policy level. 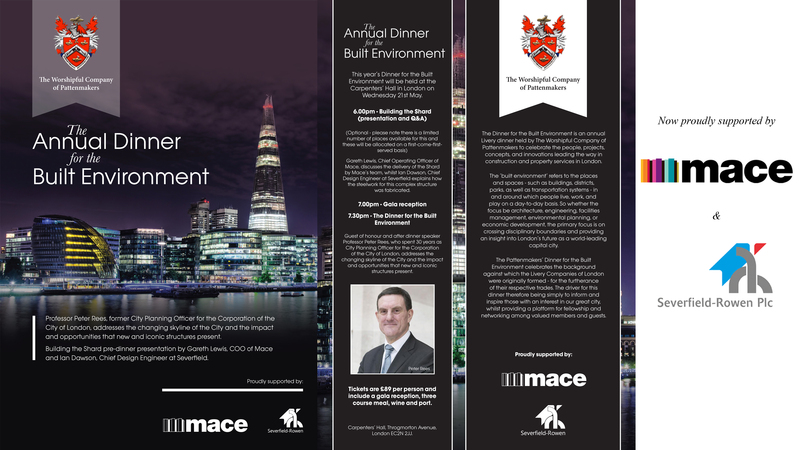 James (Owen) is very proud to announce 2 new co-sponsors for The Annual Built Environment Dinner – which he organises on behalf of The Worshipful Company of Pattenmakers. This year’s event will focus on the London’s tall buildings. Over 200 towers with a height of 20 storeys or greater are planned in the UK capital over the next two decades, making tall buildings a hot topic indeed! He has 2 very exciting speakers arranged who will be announced shortly! 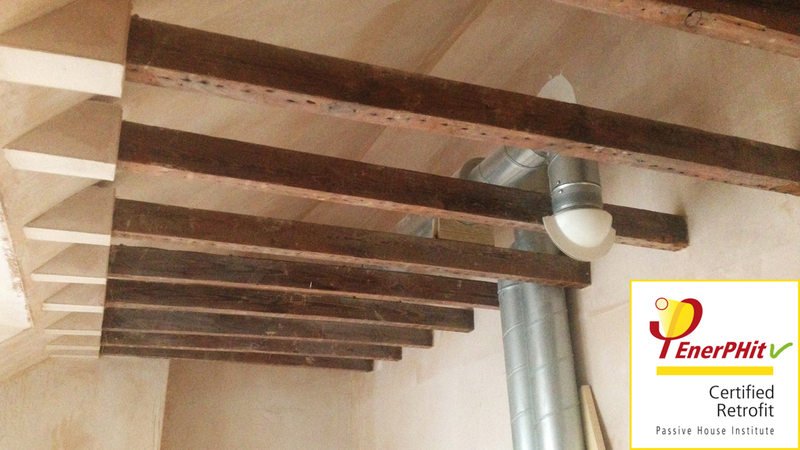 Following on from our previous post on Ben and Hannah’s permitted development loft conversion, this is an interior shot of their unique ground floor roof structure also built under permitted development, which achieves ceiling heights in excess of 3.5m in places! The roof is formed of 4 triangles of differing sizes, all pitched at different angles, 2 of which include 2 large triangular roof windows. The result is pretty spectacular when you’re in the space, especially when lit at night by the circular LED spots in the built head. 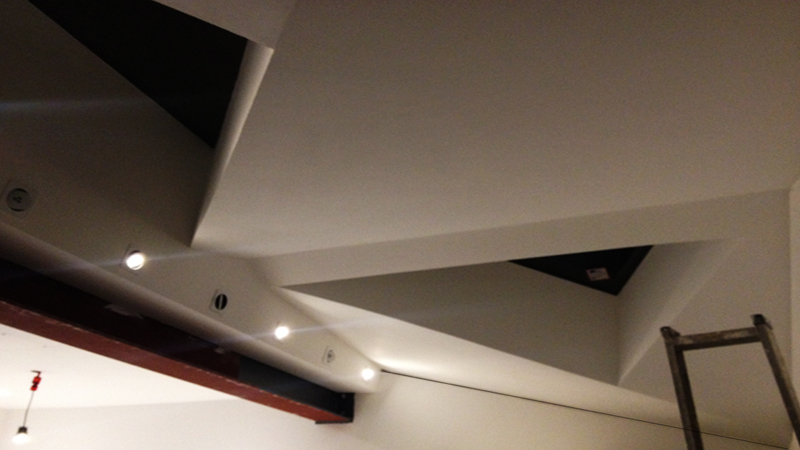 We have also exposed the structural beams internally and included shadow gap detailing to separate walls and ceilings which helps to define the form of this unique, sculptural roof. 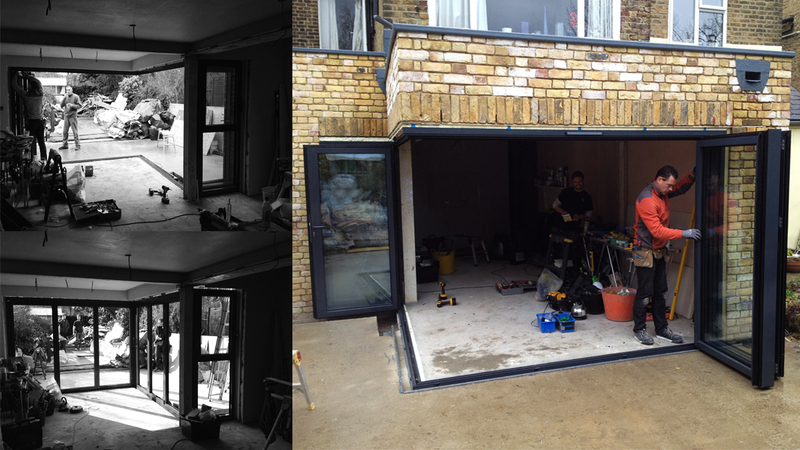 This rear and side extension in a Southwark Conservation area for the Rent’s has been designed with a 3m cantilever. The structural design allows 2 sets of bi-fold doors to disappear independently, allowing the corner of the extension to seemingly float. This is a great way of opening up the garden to the rear as well as the side of the house, and will make this west facing garden flat amazing for summer parties and BBQ’s. 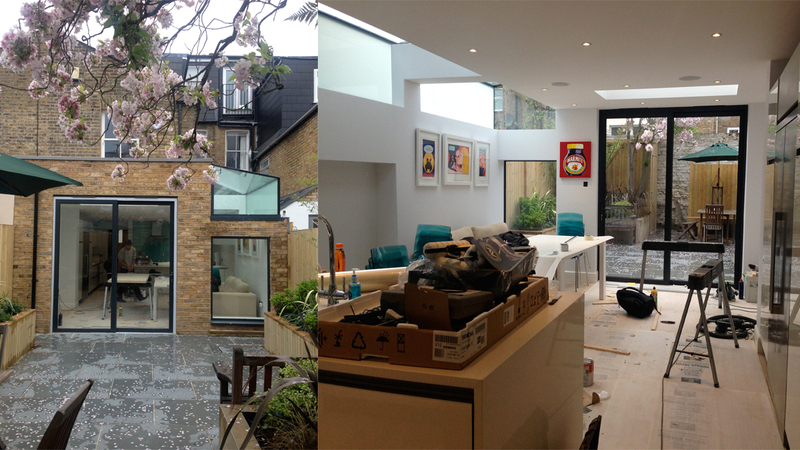 Ben and Hannah’s development of a mid-terrace property is nearing completion in West Norwood. The loft and ground floor rear extension were both approved under Permitted Development. Externally the loft conversion is complete – we have used London Stock brickwork on the flank walls to match existing detailing; slate tiles to the dormer elevation; concealed box gutters behind aluminium fascia’s top and bottom of the dormer to simplify the elevation; and bespoke aluminium reveal trims to frame the new windows and create a clean finish between the tile edges and associated weatherproofing. The same RAL colour was used for the windows/doors throughout as well as all the additional aluminium trims for continuity. 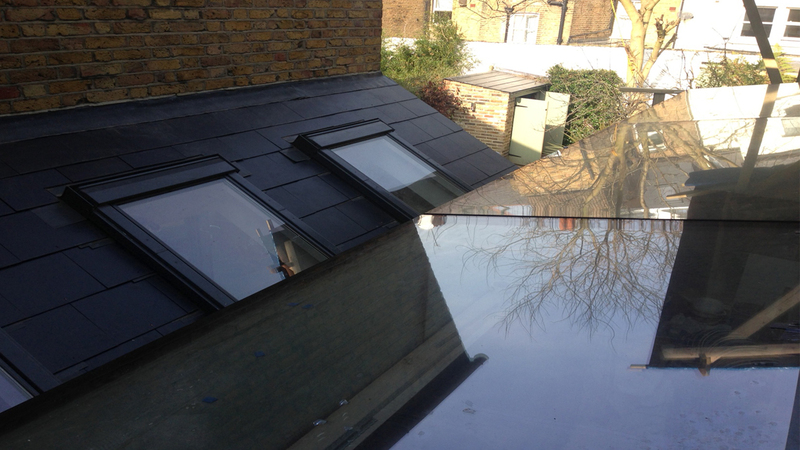 We are pretty pleased with this loft conversion as it shows that without considerably more money, but with the right design detailing, loft conversions built under permitted development can be very attractive. 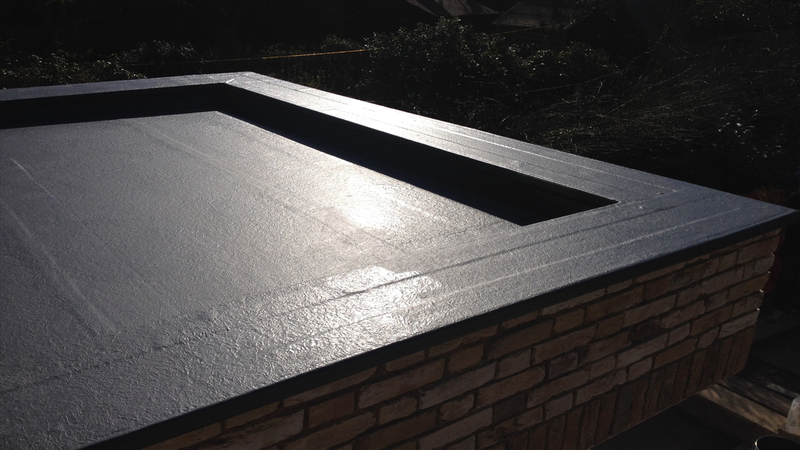 We have been using glass fibre roofing for a few projects recently. It’s a very cost effective finish as well as a relatively quick and simple process. The finishing also comes in a selection of RAL colours should you wish to have your roof coloured in Tele Magenta 4010. A less garish option would be to use a colour pigment to match the RAL colour of your aluminium folding/sliding doors! 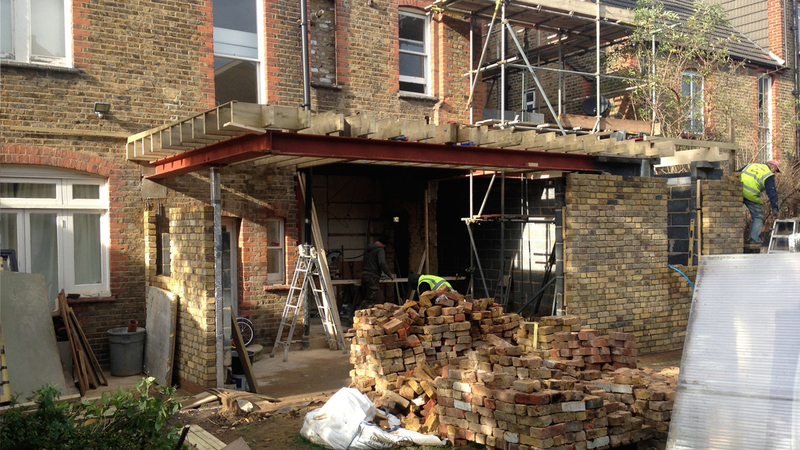 This 10m rear extension to a detached house in Teddington received full planning approval last year. The scheme was designed and engineered to include a cantilevered ground structure to avoid the Root Protection Zone (RPZ) of a tree with a Tree Preservation Order (TPO). The project is nearly complete and Rudy and Mary are just about settled back in. This is our bespoke shoe storage unit prototype for shoe designer Cleo B. They include clevis joints and turnbuckle components from the automotive industry, and will include UV protection film to stop colour fade on the fabric. A scheme in Hounslow which was denied planning approval by the local planning authority but later approved by the national Planning Inspectorate is almost complete. The scheme features a wrap-around ground floor rear extension which contradicts Hounslow’s planning policy and includes a silicon bonded, frameless structural glass roof. Take a sneek preview of the bespoke internal doors we designed, which feature integral hand grips and no visible catches. With the final decoration looming these are sure to be a stand out feature. Bright Collective - U.S. from GolinHarris on Vimeo. We are now proud members of Golin Harris’ co-creation portal The Bright Collective. The collective is a carefully selected panel of creative minds, drawn from a range of industries to think up big ideas for big projects. We’d best get our thinking caps on, and hope a light bulb moment strikes! The creative team at mindshare produced a short video about the next generation of new business pitches. The film was produced to be shared throughout the company to encourage fresh thinking when it comes to pitching for and winning new global contracts. 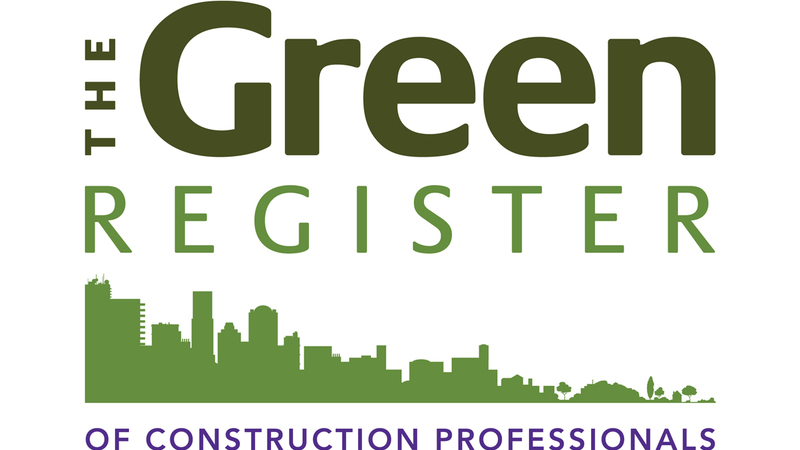 Alexander Owen join the register of eco-refurbisher’s accredited by The Green Register. The training covered topics such as technical solutions for different house types, energy performance certificates, how to work with planning authorities when introducing sustainable measures in historic buildings, integrating renewable energy technologies and the economics of eco-refurbishment. From the training we gained a greater an understanding of how to overcome many of the practical challenges of refurbishing existing houses in a sustainable way. 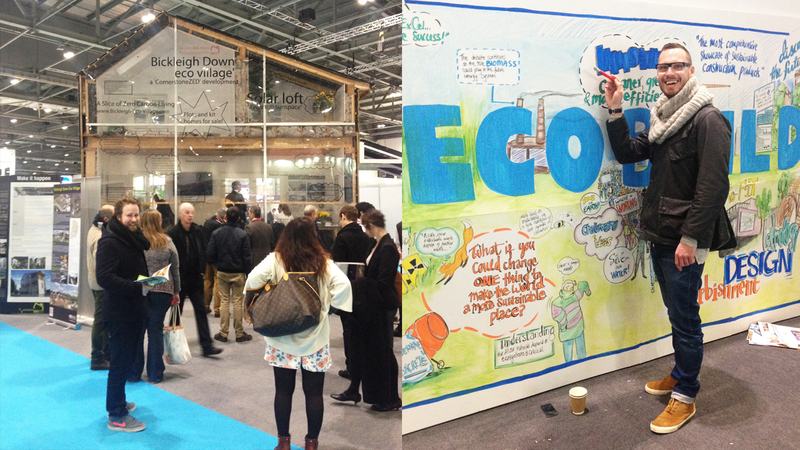 Ecobuild had another good year. 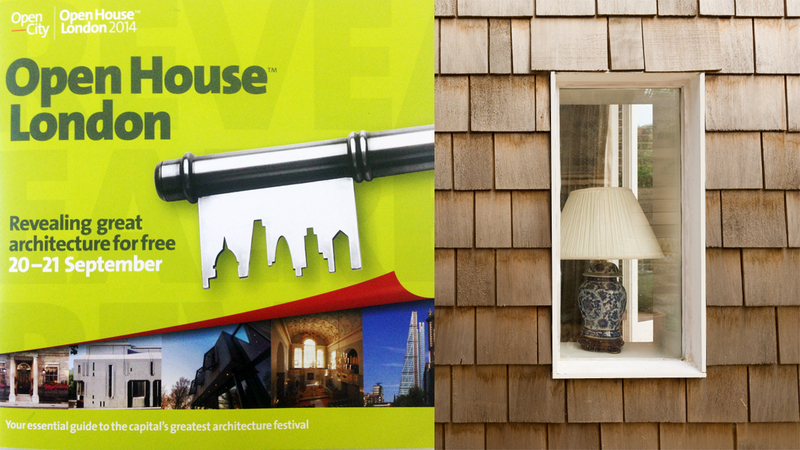 There are some great building systems and products on the market which we shall be testing out on future projects. Watch this space! More importantly however, who knew that Glasses was actually twice the size of Beard in real life?! Ireland’s Passive House Plus Magazine featured our Enerphit Certified retrofit in Wandsworth. Simon and Vanessa’s Place is UNDER WAY! Simon and Venessa’s designs are under way in Streatham. They’ve asked us to design them a single storey rear extension to accommodate an open-plan kitchen-dining area, utility room and new WC. 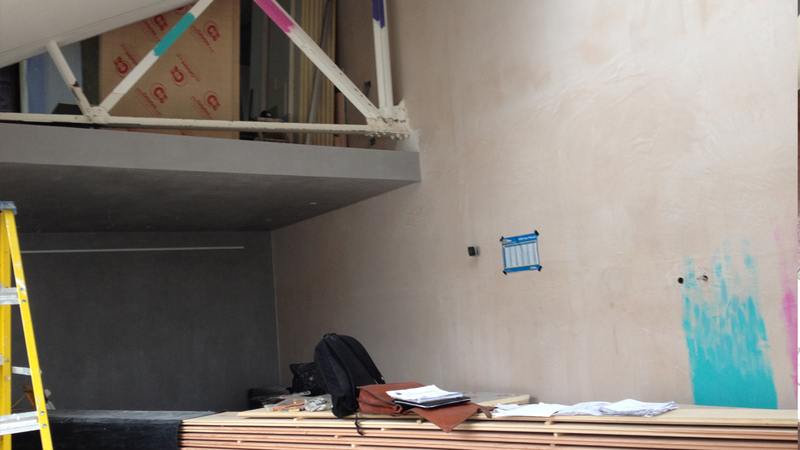 Our warehouse eco-retrofit for shoe designer Cleo B in Westbourne Park is coming along. The 10m long Dinesen flooring has arrived, Surfaceform have skilfully applied their semi-polished concrete render, and choices about the truss being pink, purple, or turquoise are under way! With only a handful of examples on the UK, this is our first Enerphit domestic retrofit in Wandsworth, London and it’s nearly complete! The EnerPHit Standard is a certification criteria for refurbished buildings. 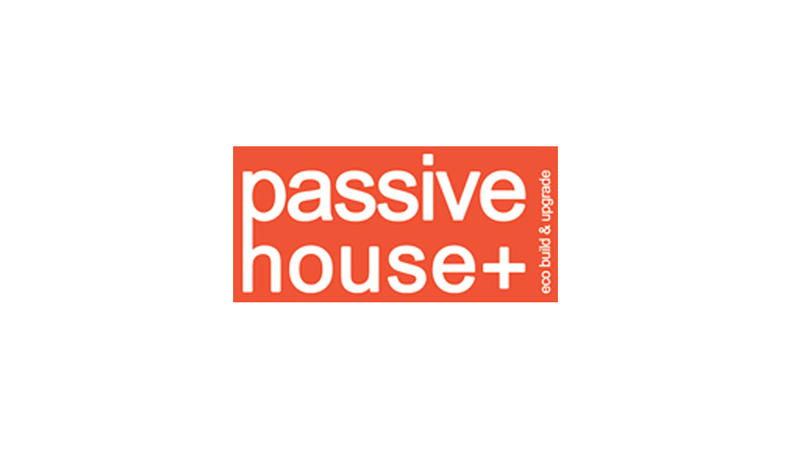 The EnerPHit Standard has been developed by the Passivhaus Institut for retrofits where the existing architecture and conservation issues mean that meeting the Passivhaus standard is not feasible.